In today’s crazy, busy world where there never seems to be enough time, multitasking is becoming more and more a way of life. Waiting for the bus? Pull out your phone and check some emails. At your kid’s baseball game? Read the news on Mobile CNN. Late for that sales meeting? Look over the details of your customer’s products while you drive to the meeting. Woah, on your phone? Wait just a minute! Understandably, there has been tremendous amount of discussion and activity around the dangers of talking or texting on a cell phone while driving. The National Safety Council estimates that in 2008, 1 in 4 automobile accidents involved talking on cell phones. And now more and more studies are showing that even talking hands-free is statistically no safer than talking while holding a phone. In fact, the National Safety Council just published an excellent paper on this very topic: Understanding the Distracted Brain. But the reality is that it isn’t just talking and texting. Any use of your phone – reading emails, navigating with Google Maps, or checking the latest sports scores – is dangerous. All of these activities distract us from our primary purpose, driving safely. These dangers can exist beyond the car as well, to other areas such as operating construction equipment and performing other important tasks like surgery or product assembly. With companies and individuals constantly looking for ways to increase productivity, the promise of mLearning: “anytime, anywhere” is enticing. Being able to provide information and learning at the point of need is a powerful advantage of mobile devices. But mobile learning should help people perform better, not distract them or put them at risk. 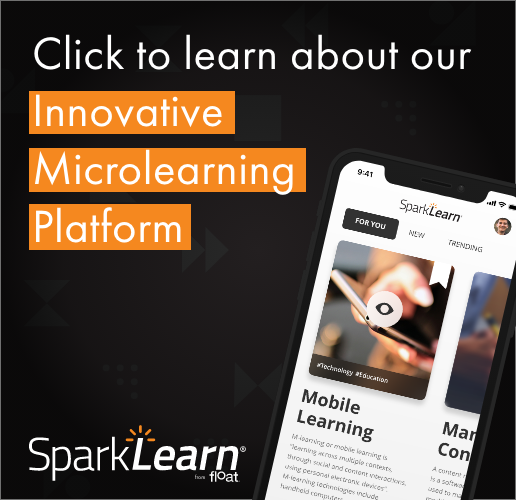 The following is a list of some things to think about when designing and implementing mobile learning, all with the goal of keeping your learners safe. Timing – When do you most expect your mLearning to be used? Think about if the information you are providing is needed at a time when people are more likely to be in the middle of something else, like driving to a meeting or trying to repair a piece of equipment that has moving parts? If so, look for ways to alter the timing so that the temptation to multi-task is less of an issue. For instance, shorten the amount of content so that it can be quickly reviewed once their car is parked at the meeting location. Or chunk the repair steps so that it is more convenient to stop, read several steps and then conduct the repairs instead of creating a situation where the user must continually look back and forth between the mobile device and the equipment being worked on. Presentation – What is the information that needs to be communicated and how can that information be best presented for the situation at hand? For example, think of using more audio instead of visual elements. This is especially true in situations where vision is an important part of the learner’s primary task, such as driving. As technologies such as voice recognition improve, there will be an increasing number of ways to interact with a mobile device that can also help limit distractions. Importance – Think about the importance of the information to the learner at that time. The more important the information, the more distracted the learner will be from other tasks. In these cases, it is best to make the learning a separate and discrete task. For instance, we can listen to the news or a radio talk show in the car because it is generally not critical that we understand or memorize every word being said. We can capture basic meaning and still pay close attention to our primary task of driving. But what about a construction equipment operator listening to a podcast on the ten shutdown tasks that must performed at the end of the shift? Trying to understand and remember ten tasks while operating a several hundred ton off-highway truck could be problematic. Messages and Alerts – For mLearning that may be used in dangerous situations, consider providing a simple safety message at the beginning. For years many mobile GPS devices have presented a warning message at start-up, reminding people to use the device safely. Policies – As a company or organization, policies can be established to keep people safe. For instance, a company policy at Pioneer Hi-Bred, a subsidiary of DuPont, prohibits people from using their cell phone while driving, even hands-free. There have also been discussions about limiting mobile phone use on certain mine sites. These policies are designed to reduce the temptation for people to try and do too much, thus putting themselves or others at risk. » Mobile Development, Mobile Strategy » Safety First!